​Liverpool manager Jurgen Klopp has laughed off suggestions from Mark Noble that the Reds were 'scared' of West Ham during their 1-1 draw at the London Stadium on Monday night. The West Ham captain gave his comments after Liverpool passed up the opportunity to extend their lead at the top of the Premier League table to five points, as Hammers forward Michail Antonio cancelled out Sadio Mane's opener for Klopp's side. 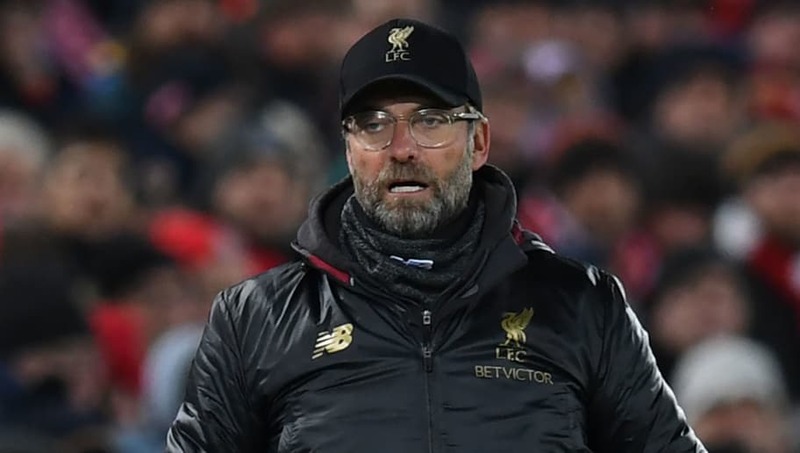 Klopp has however refuted ​Noble's claims that his team's failure to win in east London was due to a fear of their opponent, whilst also advising the midfielder that it could please the ​West Ham fans if the team scare their opposition more often to achieve better results. Klopp said (as quoted by ​Liverpool Echo): “I like that really. I would wish for all West Ham fans that Mark Noble and his team would scare more teams and not only us tonight. “I don't know him really well, so I don't know why he speaks about us after a game like that. “They defended well, that's true. They didn't scare us. It's a normal away game. “We won away game when we played worse than tonight and nobody spoke about it. Last year we won at ​Crystal Palace 2-1 with two offensive situations pretty much. “Tonight we had more. They have quality – no doubt about that. Why they don't have more often results? I don't know. The ​Liverpool manager also had contrasting opinions to his opposite number Manuel Pellegrini after the draw, after the Hammers boss insisted that his team were unfortunate not to beat Liverpool. Klopp however was insistent that despite ​Sadio Mane's goal being offside, his team performed well enough to have earned victory. Klopp said of Pellegrini's comments: “I don't think so. I know why he (Pellegrini) thinks that because obviously our goal was offside. “I didn't know that in the game and at half-time nobody told me, I didn't ask. After the game our analysts told me immediately so I can imagine. Liverpool's Premier League title challenge continues on Saturday as they host ​Bournemouth at Anfield, whilst West Ham travel across London to Selhurst Park to face Roy Hodgson's Crystal Palace.